This post has already been read 4232 times! 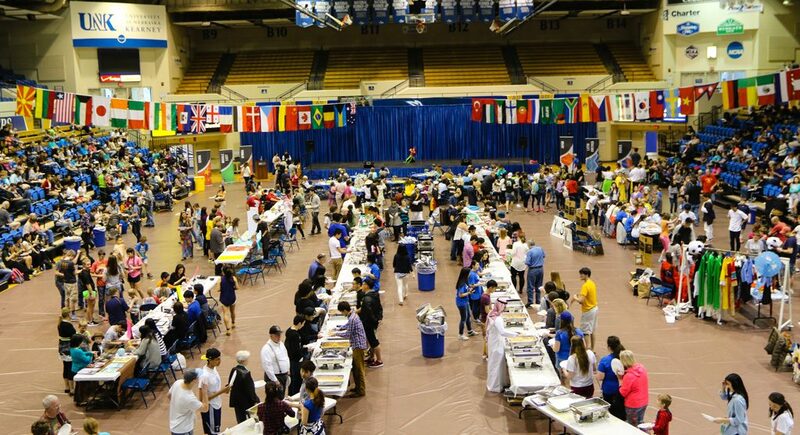 Sunday’s International Food and Cultural Festival at UNK features food from 13 countries, as well as entertainment by international students. The event is from 4 to 7 p.m. at the Health and Sports Center. KEARNEY – The University of Nebraska at Kearney has added reason to celebrate when it hosts this year’s Scott D. Morris International Food and Cultural Festival. Started in 1977, the popular campus and community event is celebrating its 40th anniversary. 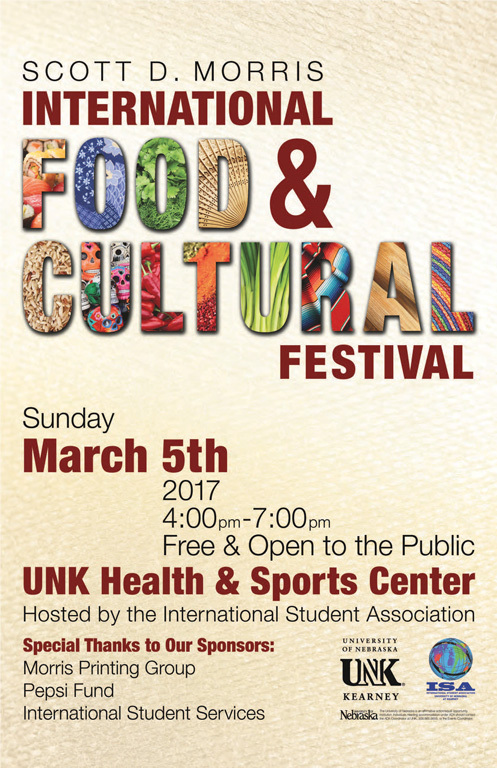 International students prepare and serve authentic dishes from their home countries and provide entertainment at the festival, which is from 4-7 p.m. Sunday (March 5) in the Health and Sports Center. It is free and open to the public. The event features food from 13 countries: Japan, China, South Korea, Vietnam, Oman, Chile, Colombia, Mexico, France, Europe, Nepal, India, Saudi Arabia. 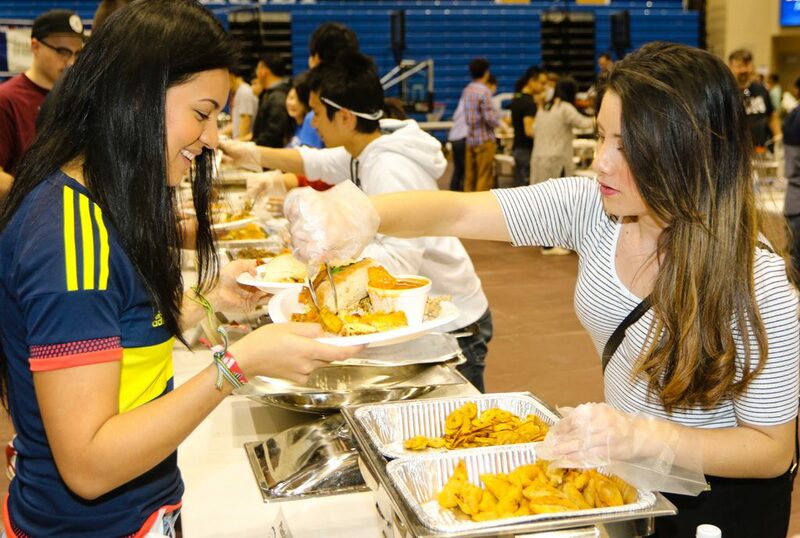 “Through this event, international students bring to you one of the fundamentals of culture, the sharing of food,” said International Student Association President Sho Takei of Japan. “As a host serving his guest, food is the act of love. Attendees can visit cultural booths that feature games, activities, decorative pieces and information about each country. Entertainment includes 11 performances representing Mexico, China, South Korea, Japan and Europe. “Students enjoy the opportunity to be ambassadors from their countries by sharing aspects of their culture with people who may have no other way of experiencing other country’s cultures,” said Bonnie Payne, international education outreach coordinator. The event is sponsored by Scott Morris of Morris Press in Kearney, Pepsi Fund and International Student Services. It is organized and hosted by the International Student Association.